We recommend these configurations for drivetrain compatibility. Share in our years of professional racing experience. If you have any questions contact us! Also see rear hub assembly. 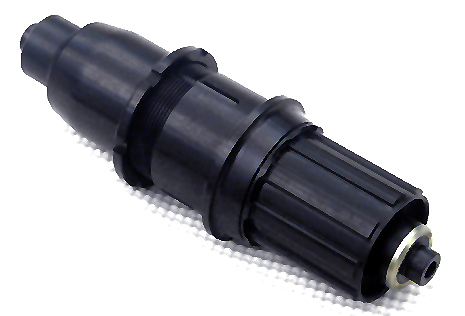 (1) Use standard Shimano 8/9 compatible hub. 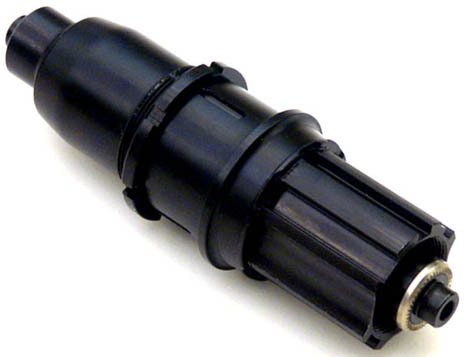 Shimano 10 (1) Use standard Shimano 8/9 compatible hub. DuraAce 10 fits directly. Campy 8 (1) Use Shimano 8/9 hub with S89 to Campy-8 spacer kit with Shimano 8 sp. cassette. (2) Use Campy 9/10 hub w/ 8 speed campy cassette. (2) Use Campy 9/10 retro fit parts kit for 2000 or newer hubs. 1This Campy 10 converter cassette is available for $90. For weights and configurations see cassettes.